Current building at 401-403 15th Street SE. The owner wants to raze the current structure and replace with a residential building. Goodeon Kingston, LLC, the owner of 401-403 15th Street SE, will discuss their development plans at a community meeting on Thursday, January 24, 7:00 pm at Liberty Baptist Church, 527 Kentucky Avenue SE. The meeting is an opportunity for Hill East residents and particularly surrounding neighbors to learn more about the proposed residential project and to ask questions and provide feedback. While Commissioner Nichole Opkins (6B06) and I helped organize the meeting, it is not an official ANC meeting. 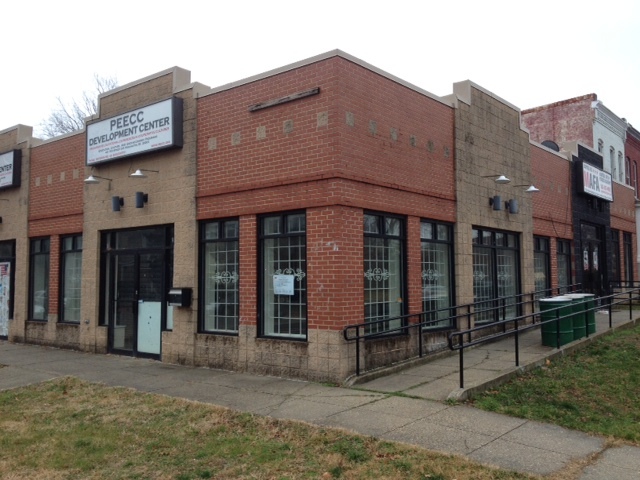 In December, ANC 6B supported the owner’s request for a raze permit to the current one-story building on the site. Goodeon Kingston plans to build a five-story residential building on the site this year. This entry was posted on Thursday, January 17th, 2013 at 9:47 am and is filed under Development. You can follow any responses to this entry through the RSS 2.0 feed. You can leave a response, or trackback from your own site. I am very interested in this project as I live at 15XX D Street, but am unable to attend the meeting. Many thanks for hosting it; I will await with interest the results of the discussion.